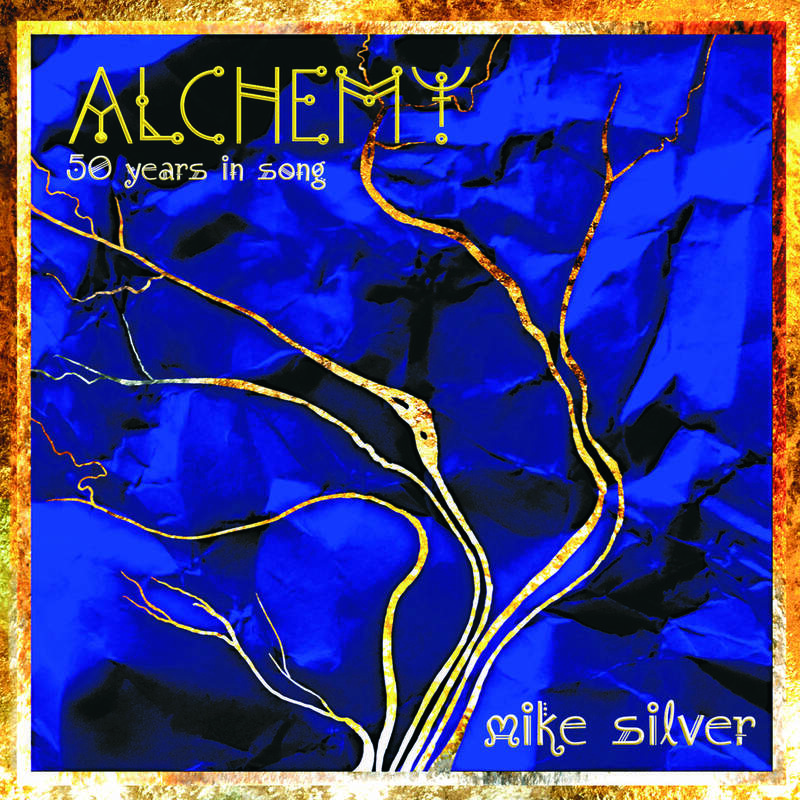 Alchemy - 50 years in song, is being released on 26th March 2019 via Folkstock Records. The album launch gig is at The Slaughtered Lamb in Clerkenwell, London on the same day with Marina Florance opening the evening for me. I can't wait! It was a thrill to hear Cerys Matthews tell her listeners on BBC Radio 2 to 'go and see him' after some very kind words and playing a track on the album! HAVE YOU HEARD THIS ALBUM? Mike's new album is now available from this website's on-line shop! Read the review by W. John Wallace on the Latest News Page page. Choice of music is always a measure of a musician’s true worth when they create an album comprising other people’s songs – and ‘Silver Collection’, Mike Silver’s new CD of his favourite songs from across the musical pantheon, demonstrates an outstandingly bold and thoughtful choice; it also showcases superb musicianship and an extraordinary ability to awaken something fresh, original and new in each of the album’s superbly crafted 14 songs. 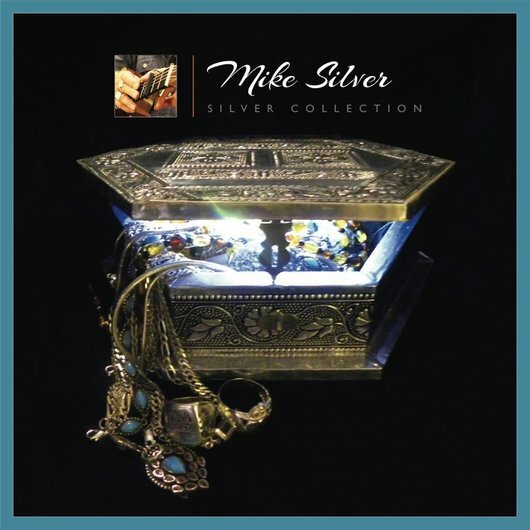 Spanning traditional ballads, epic jazz and blues, as well as classics by Mike’s favourite singer-songwriters from the UK and USA, ‘Silver Collection’ is a beautiful, sensitive and richly rewarding album that transforms familiar songs into newly made, magical and wonderful music. Long heralded as a master craftsman of song-writing, singing and performing....‘Jack Dances’ further confirms Mike Silver’s position as one of the UK’s foremost roots-and-acoustic singer-songwriters.. Supremely confident and competent guitar, plus his trademark rich, warm voice.. Holiday hell-holes, love songs (to a grandson and to a guitar!) all fall within the remit of Silver’s song-writing abilities on ‘Jack Dances’; a master-class in restraint and time-served musicianship. Mikes new album 'JACK DANCES' is out now! Lyrics for each track are available via this web site only. Mike’s working year is shaping up to be busy, the gig guide adds up to quite a bit of travelling, Canada, a songwriting workshop in France and dates around the UK. Being able to play music is like having my birthday every day. When you play for people, the size of the audience is irrelevant, sometimes in live performance, at the end of a song there is a moment of silence before the applause begins. It's like a benign earthquake in the heart, it is these rare moments that keep me and so many of my talented colleagues on the road. It is what we all live for. We hope you get to see Mike at a venue near you sometime soon. The gig guide is updated regularly as and when the new dates are confirmed. Thanks for visiting Mikes site ! 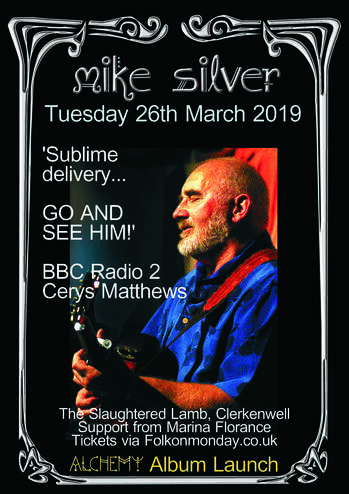 Mike Silver’s songs are of longing, love and loss, perceptive and thoughtful, with haunting melodies and heart stopping lyrics. This most accomplished acoustic artist sings and records a series of thoughts and feelings that are special and magical. Yet his music addresses every day issues without being trite, reaching out to a wide audience. With a voice that is as warm and inviting as the fire in the fireplace on a cold winter’s night, Mike is an outstanding treasure amidst the crowd. Recommended to all who thrive on the sensitivity of our existence; all in all he’s a wonderful musician.